With the news coming out on Wednesday that several top FIFA Executives had been arrested on charges of corruption it was yet another dark moment for the scandal plagued organization. The purpose of FIFA, believe it or not, was not to allegedly line the pockets of the likes of Jack Warner, but rather to govern the great game of football and expand it across the globe. With perhaps a hint of irony this week for Throwback Thursday we look back on 28 May 1928 when FIFA announced at their Congress in Amsterdam that they would host a World Cup tournament for the first time. 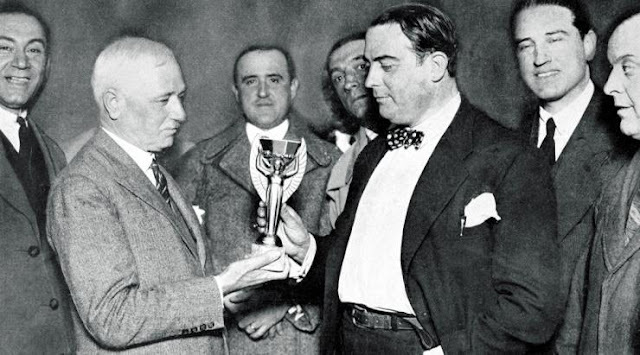 Under the leadership of President Jules Rimet, of whom the trophy would later be named, FIFA had overseen the successful Olympic football tournaments of 1920, 1924 and 1928, but now craved a tournament of their own. 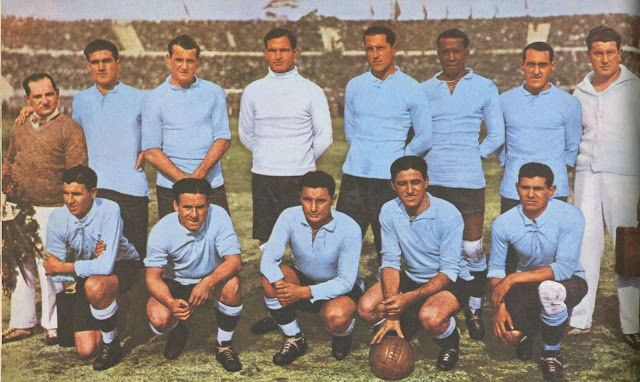 Celebrating the Centennial of their Independence in 1930, the reigning Olympic football champions Uruguay stepped forward to host the initial tournament after the other bidding nations, Italy, Sweden, Netherlands, Spain and Hungary, withdrew their bids. The initial tournament did not require a qualifying round and all FIFA affiliated member nations were invited to participate in the World Cup. Argentina, Brazil, Bolivia, Chile, Mexico, Paraguay, Peru and the United States all jumped at the chance to enter, but the cost and difficulty of travel to South America dissuaded any European nations from entering the tournament when first asked. The English Football Association, who were not a part of FIFA at that time, were never the less invited to the World Cup by Uruguay, who even offered to help with the costs involved. Sadly the English FA declined. 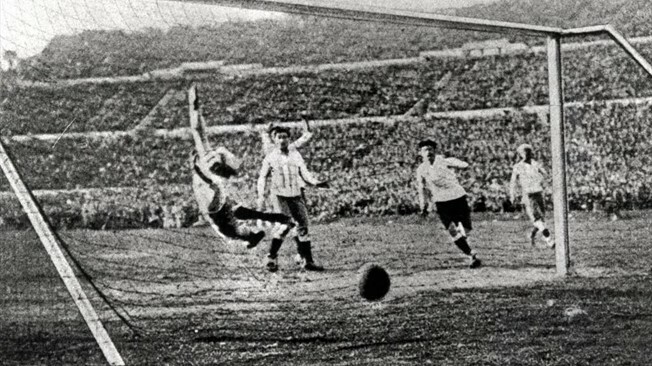 Fearing a World Cup that wouldn't truly be an international affair, Rimet stepped in and persuaded Belgium, France, Romania, and Yugoslavia to take part and with that the participants were in place. France's Lucien Laurent scored the first goal in World Cup history in the 19th minute of his side's eventual 4-1 defeat of Mexico. Of the European sides, only Yugoslavia made it through the group stage though, before they were pummelled 6-1 by Uruguay in the Semi-Final. In the other Semi-Final the surprising Americans were undone by a rampant Argentina also by a score of 6-1. In the end the host nation capped off the tournament though with a 4-2 victory over rivals Argentina in the final. FIFA had successfully staged a tournament that, despite its ups and downs, would grow to become one of the most watched events on the planet. It's a shame that somewhere along the way football has taken a back seat to greed in the halls of power.